A light and photography installation featuring archetypes of freedom as dancers. Commissioned by Deborah Klein for Ballarat Winter Festival 2018. Under a ceiling of chandeliers Dance Carousel is a fabulism that puts the audience in the centre of a revolving merry-go-round where they become the attraction. The central beam hosts life-size women dancing and twirling as archetypes of freedom. Our freedom is fragile, we must be vigilant about expressing our freedoms. The Love, The Keeper, The Seeker and The Warrior all dance for importance of expressing the freedoms we have, or lose them through lack of vigilance. Under twinkling festoon lighting the women move and shift, inviting the audience to join in. Moving image of each woman can be discovered by scanning with a smart phone. When women dance, its a revolution! The dance floor holds dance instruction, another invitation to join in. 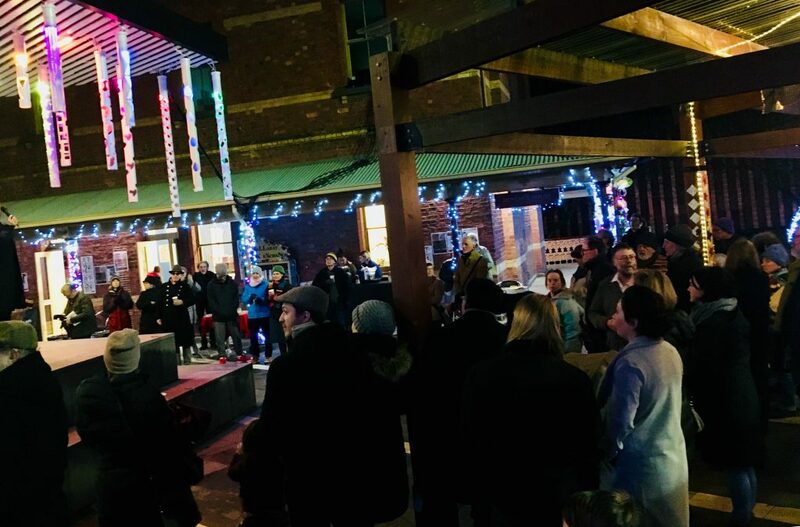 A synchronised light show chases and flashes to a soundtrack, combining with other light works around Alfred Deakin place. The beauty of this piece is that it engages an older audience through nostalgia, a younger audience through dance and a cultured audience who seek the moving images embedded in the banners. 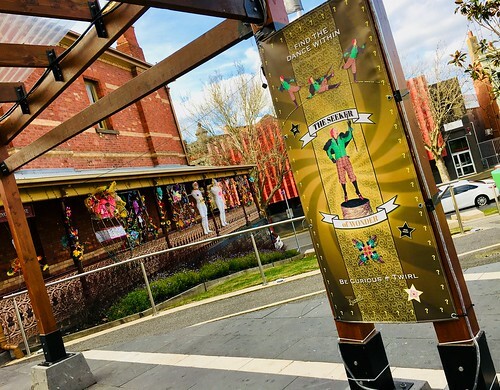 See Dance Carousel at Laneway Lumiere's as part of the Ballarat Winter Festival June 30th - July 29th 2018. Experience a uniquely Ballarat Dub Step sound-synchronisation every hour on the hour between 6-10pm.